If I’m the country mouse, my sister is the city mouse. 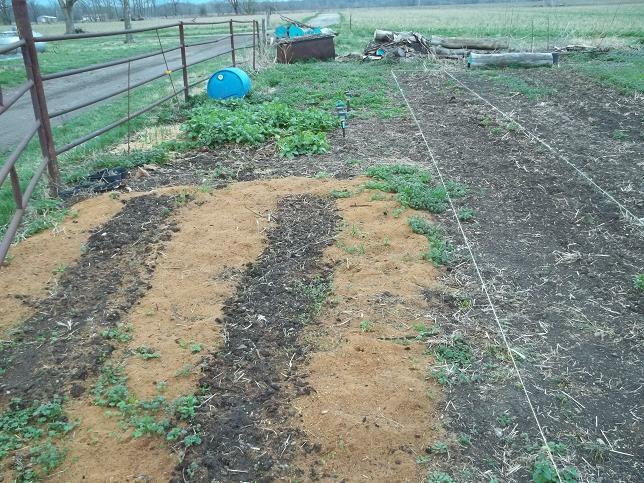 She posted on her blog last week that Rodale says it’s time to dig out last year’s parsnips. When would I do that? What’s a parsnip? It’s a white, carrot-looking thing with a green top. I don’t have time to dig them so you’ll have to trust that the jagged leaves are the green top. 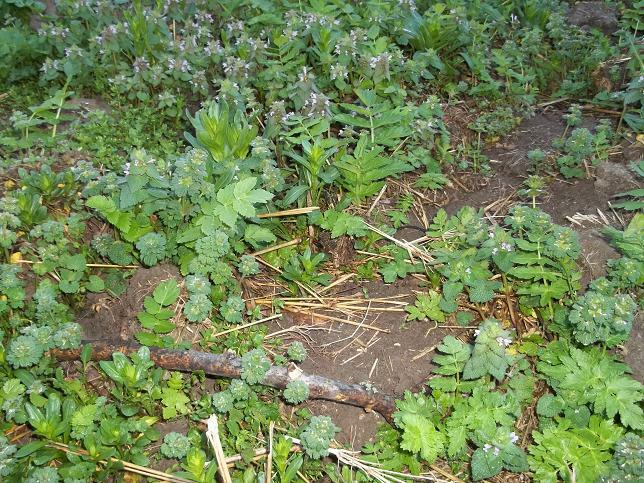 Please ignore the henbit and horseweeds. Let’s continue the tour. The parsnips are next to the turnips. 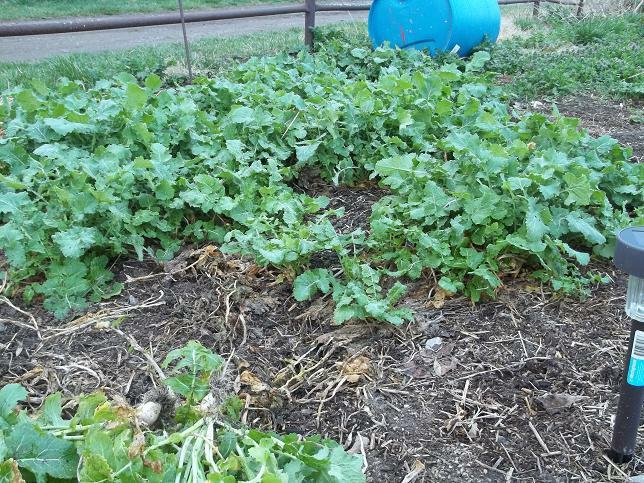 I’m working on feeding the turnips to the ducks and chicks every day but it seems like there is no end to the turnips. We’re getting there. 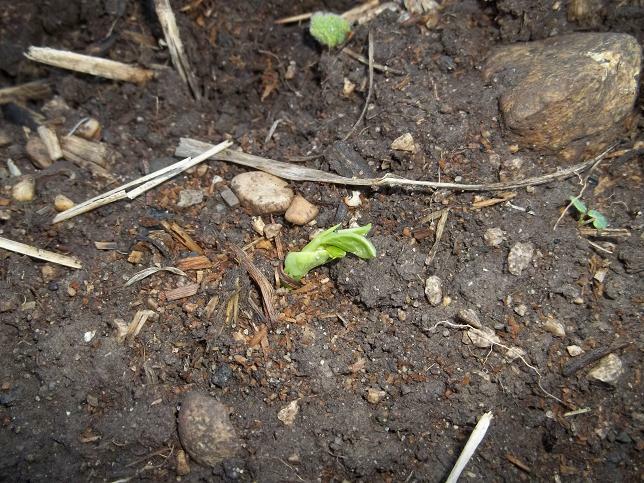 Turnips are next to the peas that are just starting to come up. Here’s the whole row. You can see I am ready to plant potatoes tomorrow! So, OK J.I. I’ll try to dig the parsnips. Soon. Maybe. This entry was posted in Gardening and tagged Parsnips, Peas, Turnips. Bookmark the permalink. It’s more important to manage the turnover when space is so limited in the urban garden. I’d probably leave the parsnips if I were you too, but I would have thinned them last year, lol. The cows love them. I hate to let them go to stalk but it’s the reality of the situation. Spring came too soon.